This page is about my current home alarm / automation system. The interface is a web-app designed for use on the iPhone, using JQuery Mobile to provide the look and feel of a native iPhone app, but is in reality a web page. 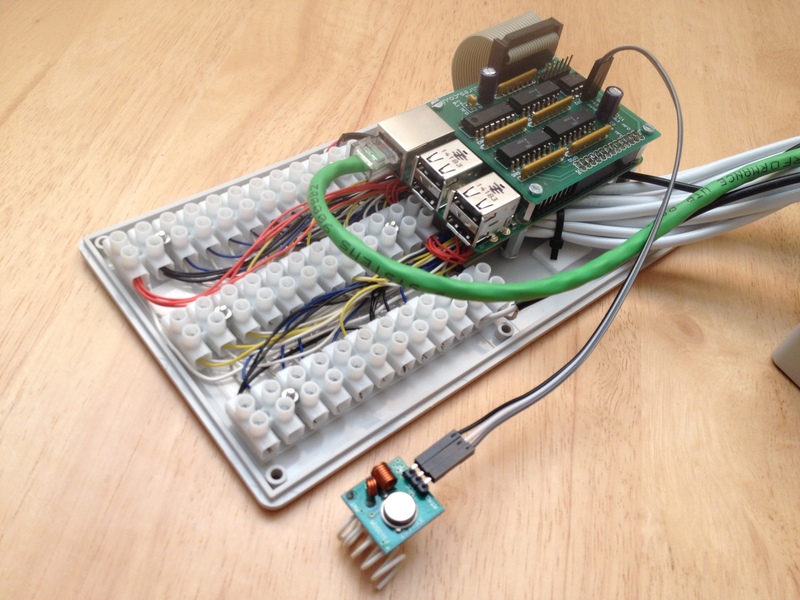 The system uses a Raspberry Pi to host the web page, and a custom circuit board provides the hardware interface. The alarm circuit inputs and outputs are compatible with standard 12volt domestic alarm systems. The radio control channels are compatible with off the shelf radio control switches based around the PT2262 or HS2260A chipset. Prompts for a valid user logon and password. All access attempts are logged and can be viewed through the system log files. User accounts can be created / edited / deleted through the ‘Users’ administration screen. Standard ‘3 strikes and your out’ mechanism, with firewall rules to block malicious IP’s. Alarm system can be set to Night mode or Day mode. Also allows for Reset and Test functions. Up to a maximum of 12 alarm zones can be created / edited / deleted through this screen. Zone can be renamed and configured to be active in Day mode, Night mode or neither. Chimes can also be enabled for zones when required. Zones are RAG coded. Green = inactive, Amber = active, Red = triggered. Remote Control power sockets can be manually switched on and off through this page. Up to a maximum of 160 Radio Control sockets can be created / edited / deleted through this screen. Radio Control sockets can be renamed and configured to either switch on, switch off or do nothing if the alarm triggers. The circuit board provides isolation between the 12 volt alarm and the Raspberry Pi GPIO circuits. Also uses a 3.3 volt PIC microprocessor (PIC12LF1552 ) to emulate the Radio Control transmitter, providing up to 160 RC channels. The circuit board is designed to piggy back on a Raspberry Pi. GPIO connections can be through standard header pins ( requires additional cable ), or by means of the header socket ( illustrated ). This installation has all 12 alarm input circuits connected, and a tamper loop has been created using an addition connector strip. Each alarm circuit has a 12volt power feed to drive PIR’s if required. The 12 volt and 5 volt power feeds are also routed through the screw connectors. Hi Tony great alarm project. Im really keen to replace my current alarm board with a PI solution but before i jump in was wondering if you looked into alarm keypad integration for setting/unsetting. Im fine with iphone logins etc but when ever i do home automation projects which i have done a number now i have to make it easy or minimal change for my wife etc or she goes off. If i could integrate my existing keypads to set/unset that would be awesome so thought i would ask if you did look into their communications methods also. Thanks for leaving the post and the feedback. I did have a very quick look at keypad integration at the start of this project as my previous system used small 12 volt keypads. I found they were using an open collector circuit to allow multiple units to operate over a single line, data being transmitted by any unit being able to pull the line low. But I decided trying to interface this to a Raspberry Pi would probably require dedicated hardware, and a lot of software, so took it no further. I had seen an interesting installation where an iPad was screwed to a wall and used as a control panel for a multi-sensory swimming pool ( complete with underwater music ). It made for quite an effective interface, and I was vaguely intending to use this approach. But I’ve found having the iPhone in my pocket is far more convenient than having to get up and go to a control panel. Maybe you should look at it not so much as adding a new iPhone interface, but as getting rid of an old keypad interface. Good look with the project. Last week i bought a set of ZAP 5LX remote switch outlets (they’re the same 433mhz ones as you have). I’ve stripped them down to use lighting circuits (or pendent in line switches – N/C so that they can be bypassed by switching off and back on again). Arduino Yun and BBB are fun looking devices, but I’m not familiar with them, so I left them alone. It’s taken me long enough to come up to speed on the Pi and PIC. Good luck with the project. Wow! Very nice. Incredible development. Any chance that circuit board or design is available? You’re in luck. I have a couple of spares. I’ll put some details in an email to you. 2 Do you have any more boards available. I’ve never tried the system on an Android phone, but it should be possible. The main requirement is that the browser should use the Webkit rendering engine as this is a requirement of the jQT plugin. There is a whole list of Webkit browsers on Wikipedia. But there is an online demo for jQT here… jQTouch The page has a button marked ‘preview on your phone’, so you should be able to get an idea from there. 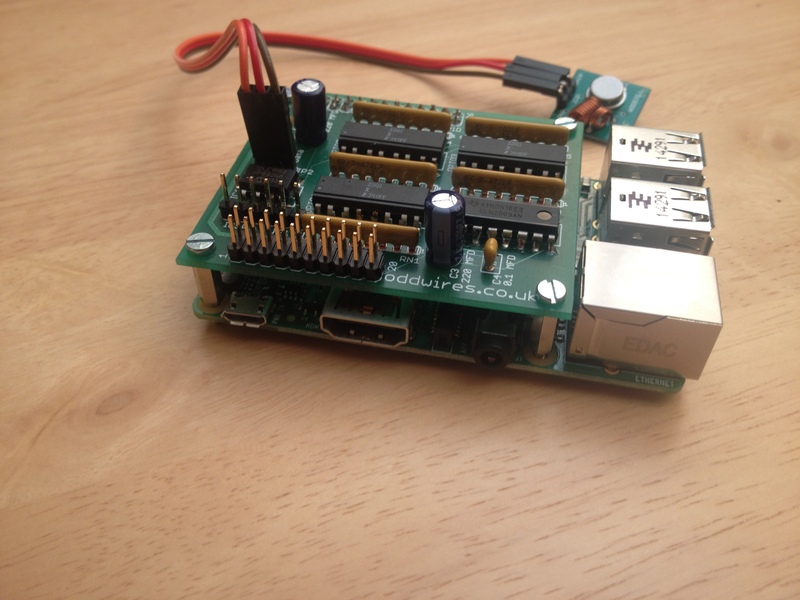 alternately, load up the alarm software on a Raspberry Pi and give it a go. There are full instructions in the Wiki on the Github. And yes – I’ve got a couple of spare boards. I’ll drop you further details in an email. This is the best RPI alarm project what I ever seen. 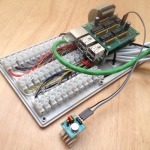 Great idea the GPIO matrix to increase the usable input or output channels. Can You share the PCB (for example Eagle) plan with me pelase? Thanks for leaving the comment – its certainly taken a long time to get the project to where it is today. It covers connecting a garage door opener to a Pi. The tutorial uses Apples HomeKit interface to control the device, but the last part of the video explains the type of hardware modifications you would need. 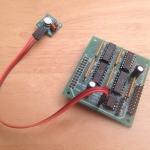 I’m not sharing the PCB designs at the moment, but have got a few spare development units if you are interested ? Probably not – the system only works with the custom circuit board. But the code is open source, so you could modify it to work with your own hardware. Have you looked into adding Z-Wave yet? But I like the option to use less expensive magnetic switches if wires can be run. I just bought my first Pi and will be installing your code shortly. I don’t have any Z-Wave devices, so I’m not planning to develop that option. But I have been looking at these Radiator Valves. The code needed a bit of maintenance recently, as the Apahche2 folder structure had changed, the Raspberry Pi Debian image had changed, and Apple rolled out IOS 10. But it all seems to be installing ok again now. There is a bit of an oddity when using the app in full screen mode, it can seem to lock up. But the fix is simple enough – during the setup, when configuring the iPhone, you have to create the homescreen icon using an external network ( not 3G or 4G, has to be a wi-fi ). I’ll add the details to the wiki when I get a chance. very cool project ! I am really interested in setting up this installation, do you have any boards left ? I’m not planning on fixng the current code, as I’m wanting to finnish the new version instead. I’ll give you a shout when the code is stable, then leave it to you if you want to go ahead. thanks for your answer. I didn’t see Marks comment, to bad ! I’m afraid I’m still working on the code. Its mostly there, but I still have a few show stoppers to fix. 1) Logs page hasn’t been coded yet. But I’m hoping this will pretty much lift and shift from the old version without requiring too much work. 2) Hardware issue with the link between the Raspbery Pi and the PIC chip. I think the I2C interface is running at the wrong speed, which results in the RF signals going out at about a quarter the speed I’d expect. The power sockets and radiators still respond, but it takes ages to work through multiple devices ( my system currently has 22 power switches and 8 radiators ). So ‘Hey Siri, Good Night’ takes over a minute to complete, when it should be done in a few seconds. 3) I’ve redesigned the alarm control page, and somehow forgot to include the reset button in the new design. So thats probably going to be the next update. But that said, the installer is working again, and the whole HomeKit interface, which relies 100% on someone elses code hasn’t moved on too much, so only took a couple minor updates to get that part of the installer working again. As for the boards – I’ve been too busy with the code to solder up any new ones, but I do have still got some blank PCB’s, and will be soldering them up whenI get a chance. Very nice project! I have an old Radio Shack alarm from the early nineties that I have been thinking of updating. Your system appears well thought out with a lot of great capabilities. I would be interested in the details of how to acquire one of the interface boards. This next code release is prooving quite troublesome. I thought I had fixed most of the issues, and just had to re-work the code around initialising the I2C bus. But I was just reading up on Debian Stretch ( the latest Debian release), and I think this may have also intoduced some changes around the permissions which will need fixing. 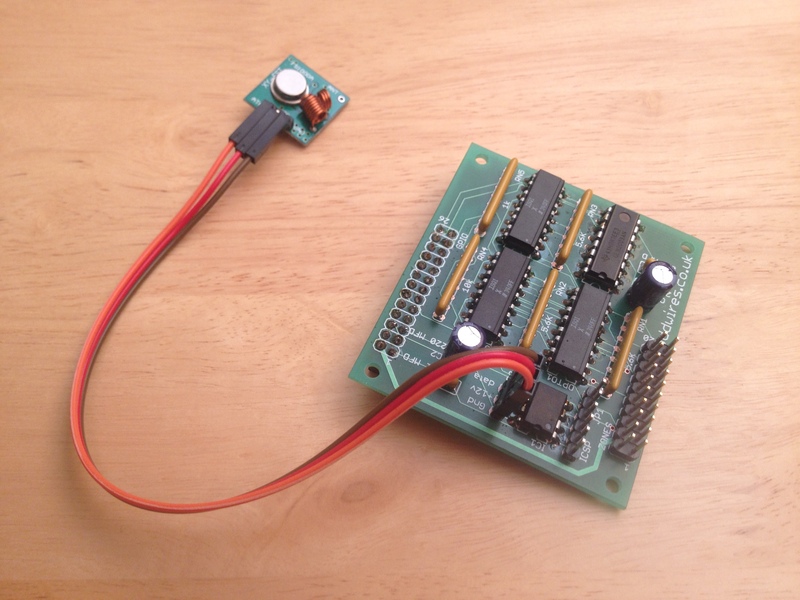 Keep watching the web site for updates, and I’ll drop you an email when I have working code and spare interface boards. Great project and looks perfect for updating my wired system to provide web control and web feedback of what’s going on – will save the neighbours phoning me and once checked all safe can be turned off remotely too. Have you considered adding a usb camera to give a web view or potentially equivalent to Ring front door functionality? And the usual question – do you have any boards left? Either built or just bare board + parts list fine by me. Pls send me details if anything available! Thanks for the great project! If you configure the email alerts, you will know the alarm is sounding at the same time as your neighbours. So you don’t have to rely on them phoning you, you can be phoning them. I’ve not looked into adding cameras, as I have a separate camera system installed, with iPhone interface. So the two systems work quite well together. But I would be interested to see how camera’s interface with HomeKit – if the interface was really slick, I might be tempted to go down that route. I’ll give you a shout of I ever catch up with myself enough to get some boards soldered up. Before stumbling upon your project on your website, I am currently work in a unit where i repair 2 stroke engines & engine driven machinery..
Prev to this i was working in electronics for some time with PCB design & help with projects etc, as an electronics enthusiast also have a great interest in the Raspberry Pi & Started learning python but nothing to your experience. I also see the Raspberry Pi as a great interface for an alarm system, i needed to interface my hardwired 12v PIR and interface as an alarm so i could monitor it and control devices remotely from my phone.. While & still leaning python & about the Raspberry I was looking for a motherboard/ interface & all in one solution, Other than having to build it up with a number of off the shelf parts as it can get messy, also wanted it to fit in an old alarm case using the old 12v battery backup..
so back in 2016 i decide to learn more of the Raspberry Pi, as i’m still learning with a limited amount of knowledge in certain areas. i decide it would be handy to design a PCB board interface with a lot more pins than what the Pi can offer but still use the Pi as the main control. Due to lots of ports needed for various projects i decided to design my own pcb, with a 12v supply for my hardwired PIR sensors, and also supply my bell box & other features. The pcb is powered by a 12v supply, I put a 5v regulator on the PCB to power the Pi, i added I2C giving 16 x 5v I/O pins, also upto 16 relays 12v relays, i also added a PWM 16chx, 8 x a/dc, i put a on board temperature ic, also full access to all Raspberry pi pins. The PI pushes on a 40 Pin connector giving full access to the Raspberry pi ports as well as giving me use of lots of relays & ports. 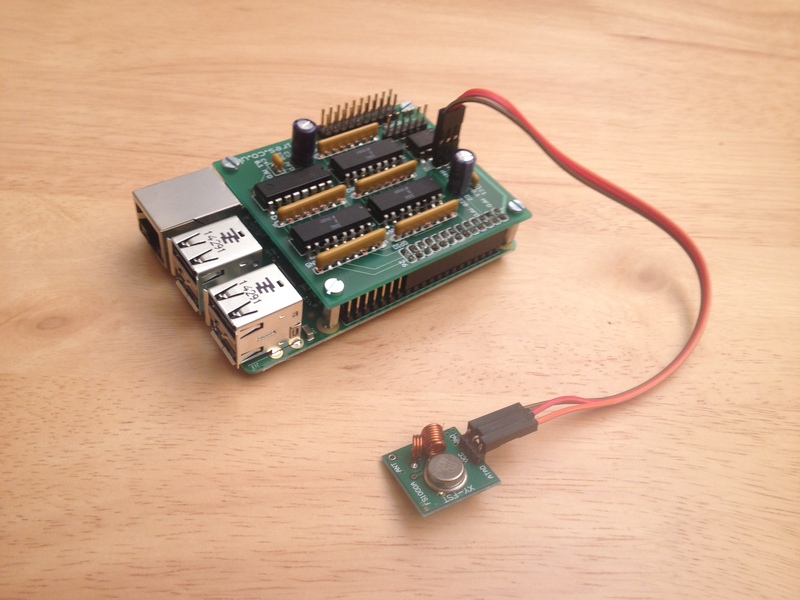 Having a electric roller shutter and a number of other jobs i can have the pi monitoring all from one pcb. ive been adding various gadgets to my Raspberry Pi through this PCB & its been running since 2017 without many issues..
being so busy , i decided to search the internet for an open source version & with the overwhelming amount of information on the internet i came across your website. Your project is a perfect answer for my needs & going to give it a try, what so far has been an amazing learning curve for me.